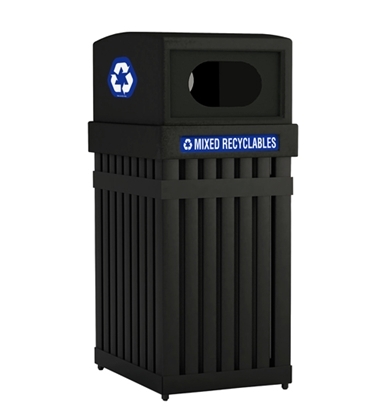 We carry many types of recycling trash can receptacles to serve your commercial location. View our selection below and call one of our freindly sales representatives if you have any questions. 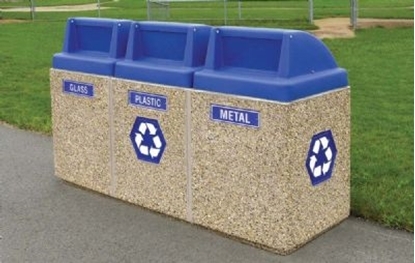 The Green movement has really taken off and made big improvements in our ability to recycle, reuse plastic, paper, aluminum, glass and more. 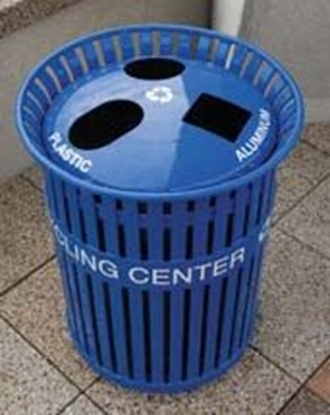 Recycling receptacles collect paper, aluminum cans, glass and plastic bottles improving our environment. 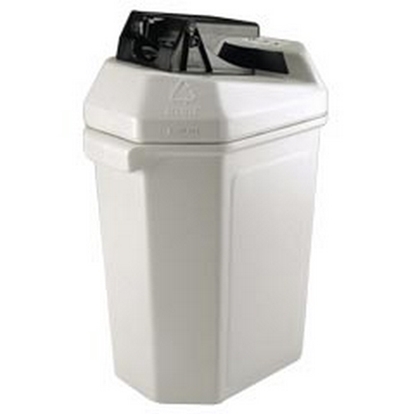 Many recycling receptacles are available from fiberglass to concrete recycling bins to plastic recycling containers.